Complimentary design services to the rescue! 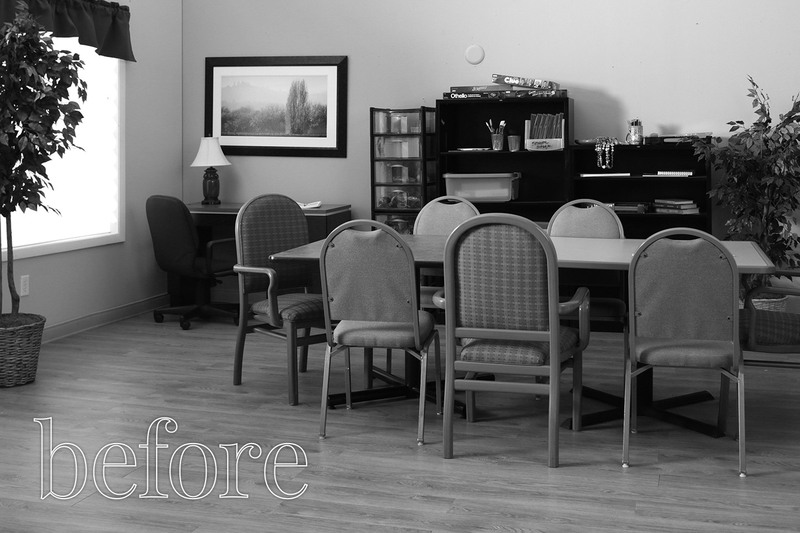 Revamping a space in your Senior Living community with fresh furniture, fabrics and finishes has never been easier. 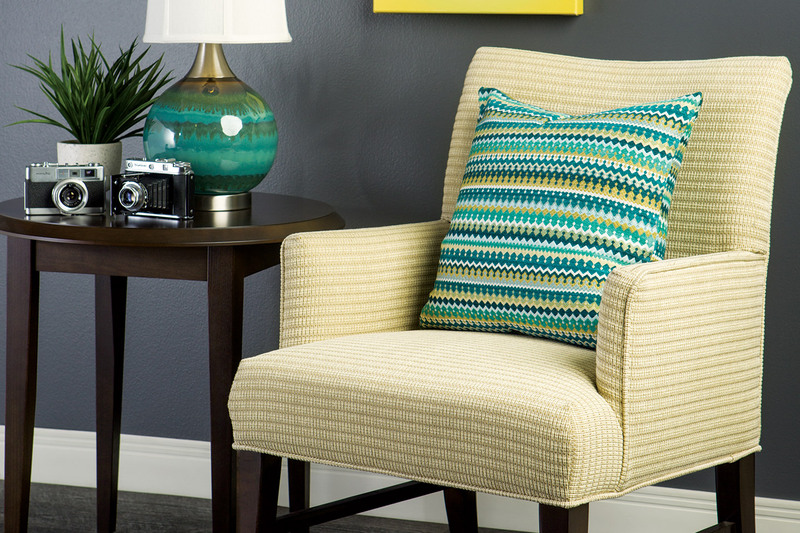 Refresh your space in 3 easy steps! Talk with one of our Senior Living design experts about the vision and goals for your space and determine the scope of your project together. 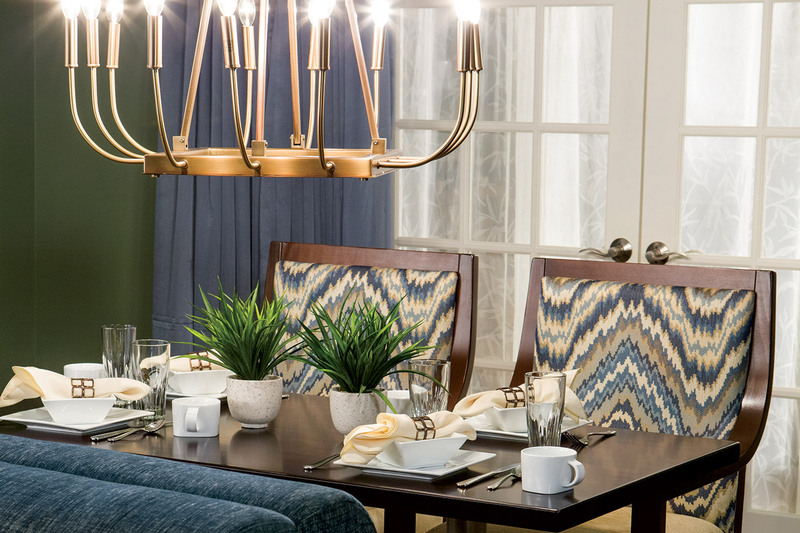 Pulling from 200+ furnishings brands, our Design Consultants will provide space planning for up to two rooms – all at no cost to you! We’ll also send complimentary samples so you can see your options firsthand. Now you can shop with confidence! Plus, we’ll coordinate delivery and installation nationwide. 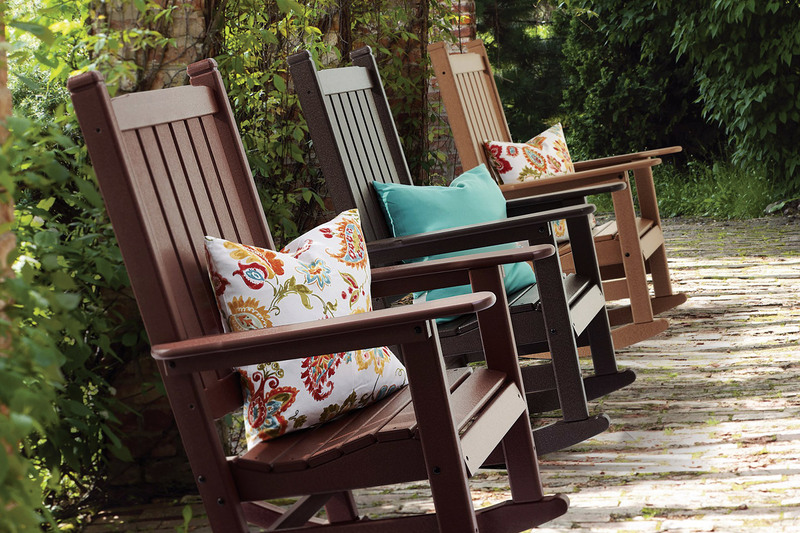 Our design consultants can turn mismatched chairs and hodgepodge storage into a welcoming activity space without breaking the bank. “The goal for this refresh was to be a colorful, vibrant space that would be welcoming and engaging for all types of people. With lower-height storage and some supplies displayed, the room feels more welcoming and promotes independence, suggesting someone could come and start their own activity. What are your style and programming goals? The combination of how the space will be used and who will be using it always drives the furniture choices. With this in mind, we can balance the ideal styles with the functionality you need. Window treatments make a huge impact on the feel of your room. Do you want something sleek and functional? Soft and welcoming? Bold and energetic? We can help you choose from myriad options. The final touches bring a space to life and give it personality. 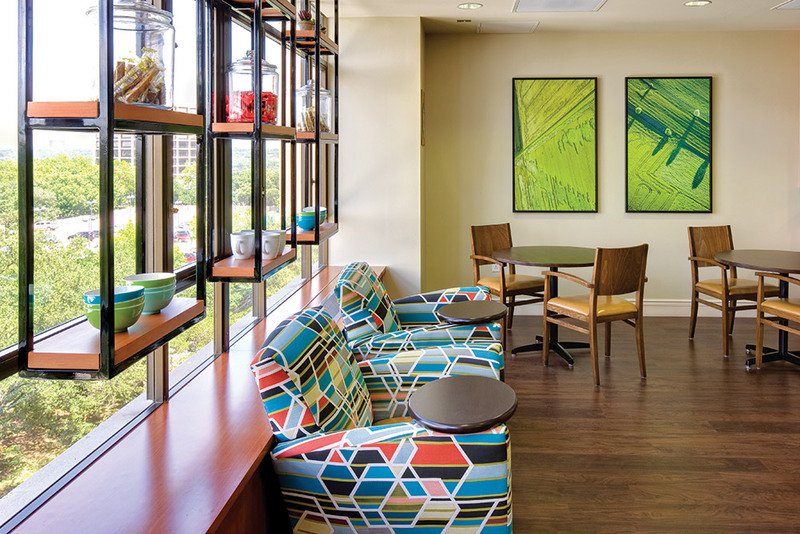 By considering the main purpose of the space, we can tie in coordinating accessories and art that will speak to you and your residents. Consider refreshing a centralized space in your community where residents can’t help but encounter a variety of activities. A well-thought-out open space can serve as the heart and hub of your community. Rethink existing multipurpose spaces with flexible furnishings that allow you to create distinct destinations from one day to the next. 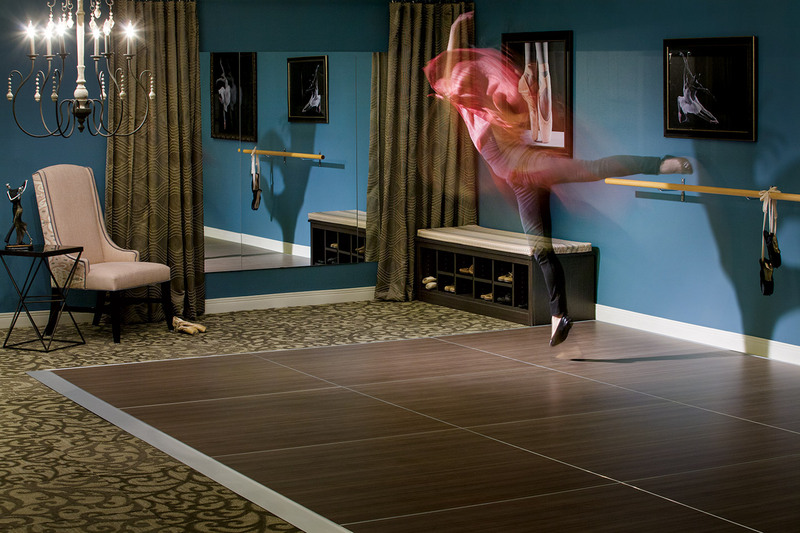 For instance, this dance floor is easy to assemble and disassemble so you can host a dance class or performance one day and a happy hour the next! Mealtimes are about so much more than just food. 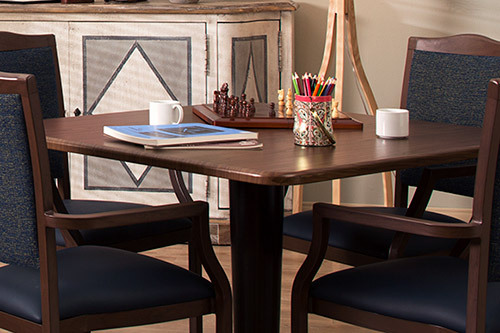 Foster socialization with well-appointed, inclusive tables that allow for easy conversation. Consider adding conversation starters to help newer groups engage more quickly. 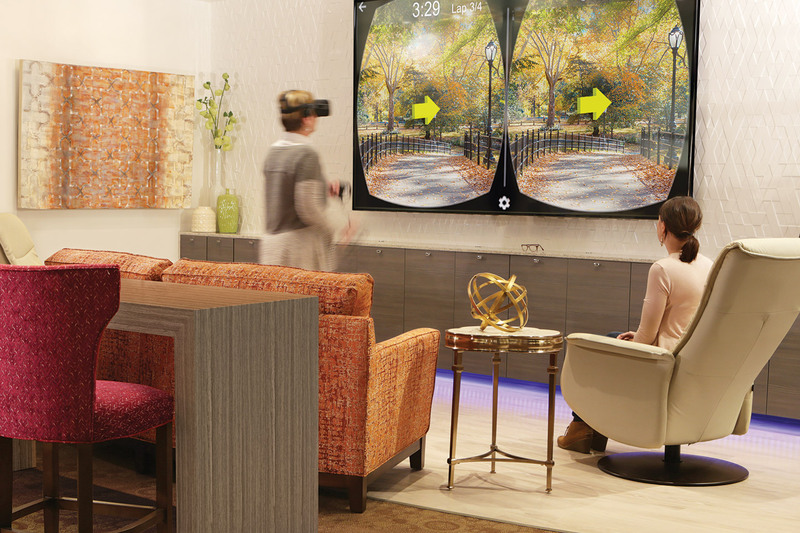 Engage residents and impress prospects by infusing technology into common areas like easily accessible Wi-Fi, video games like virtual reality headsets, and Skype stations to connect with loved ones. 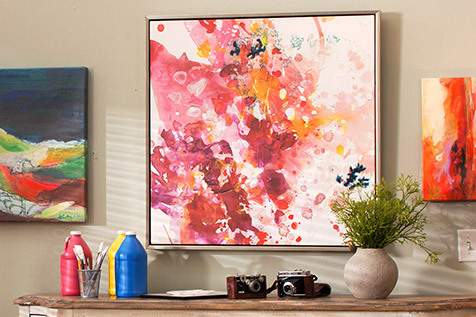 Break free of traditional frames with fun, modern canvases. 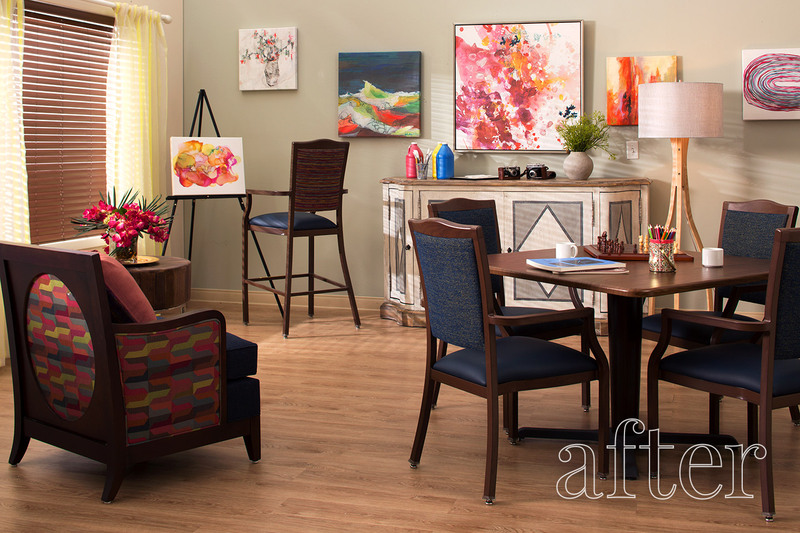 Big, bold, colorful art serves as the perfect focal piece for any room. Level up your outdoor areas by incorporating in-demand attractions like fireplaces, sculptures, dining, community gardens, yoga lawns or even mini putting greens. Are you interested in talking to a design consultant? 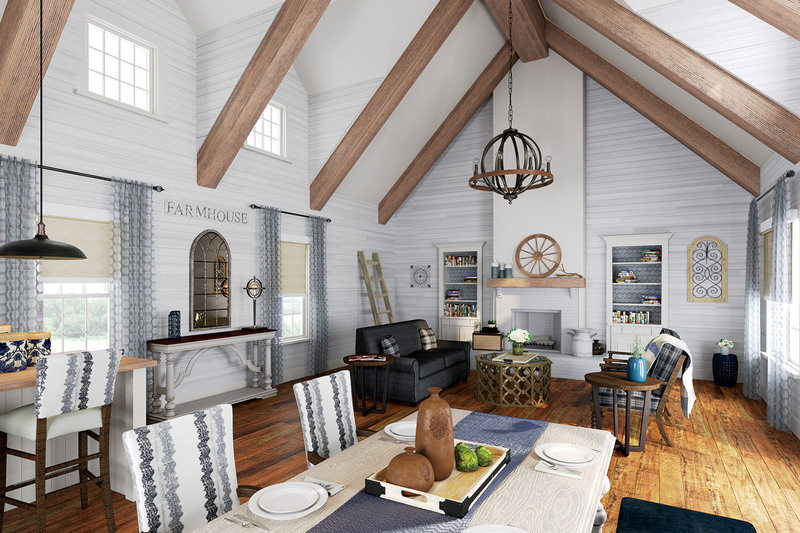 Looking to tackle a transformational renovation? Looking for large-scale project support?